Marinara – which is loaded with fresh Imported italian plum tomatoes and fresh vegetables. It’s as light and refreshing as if it was straight from your own garden, with touches of Basil and Colavita Olive Oil. Tuscan Arrabbiata – Loaded with fresh imported italian tomatoes and fresh vegetables. This one brings out the zestyness of pepperoncini and even a hint of honey. What a great touch. Artichoke Marinara – Again loaded with the Fresh imported italian tomatoes and fresh vegetables. This one brings the flavor of Artichokes and some hints of Mint. That just marries so well in the sauce. Rigatoni, Linguine, and Spaghetti. 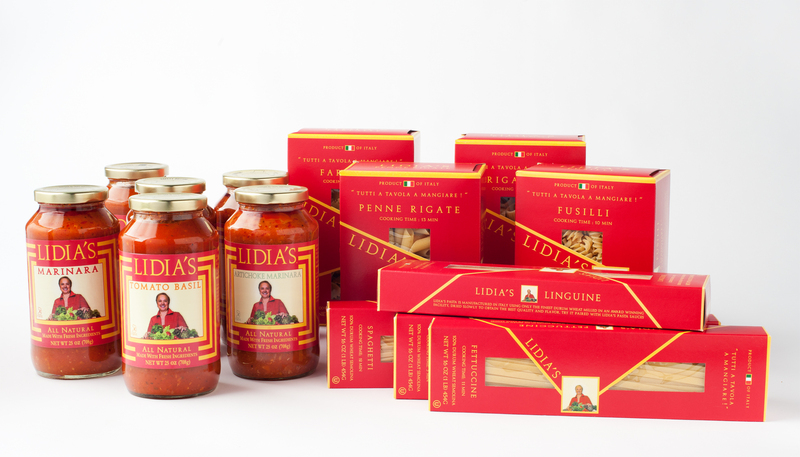 Lidia’s pasta is manufactured in Italy using only the finest Durum Wheat, milled in an award-winning facility. It is then dried slowly to obtain the best quality and flavor. Can’t wait to try these with the sauces and share my reviews. Check out Lidia’s website at http://www.lidiasitaly.com for some great products and recipes. Along with all of her great cookbooks. Lidia’s cooking remind me of my grandma..I miss that taste. I loved her cooking show. Made me so jealous of her relatives! I will email the rep I know at Lidias products and get back to you.